Souhail K. Rahal, age 88 of North East, died peacefully on May 11, 2018. He was born in Aitaneet, Lebanon. 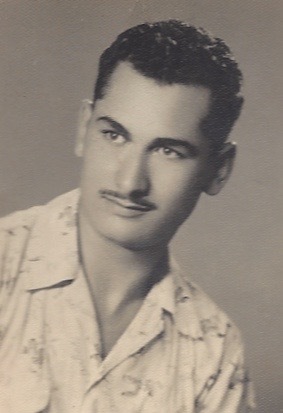 Souhail attended Kent State University in 1954, and graduated from Case Western Reserve University with a degree in business. While there he enjoyed playing soccer. He married Gloria, his wife of 61 years, on August 4, 1956. He spent several years managing hotels in Fort Myers Beach, before he bought his grape farm in North East. Souhail enjoyed growing plants and trees and even grafted some of his own blend of apples. Souhail was baptized in the Mediterranean Sea as one of Jehovah’s Witnesses and was a member of the local congregation of Jehovah’s Witnesses for many years. He enjoyed sharing his bible beliefs about a paradise Earth with others. He is survived by his wife Gloria (Bassett). He is also survived by his children Charles (Anita), Eric (Cara), Veniece (Skip) and Juanita (Marty), his grandchildren, great grandchildren and many other loving family members. There will be a service held on Sunday, May 20, 2018 at 3:30pm at the Harborcreek Social Hall, 7275 Buffalo Road Harborcreek Pa, 16421.